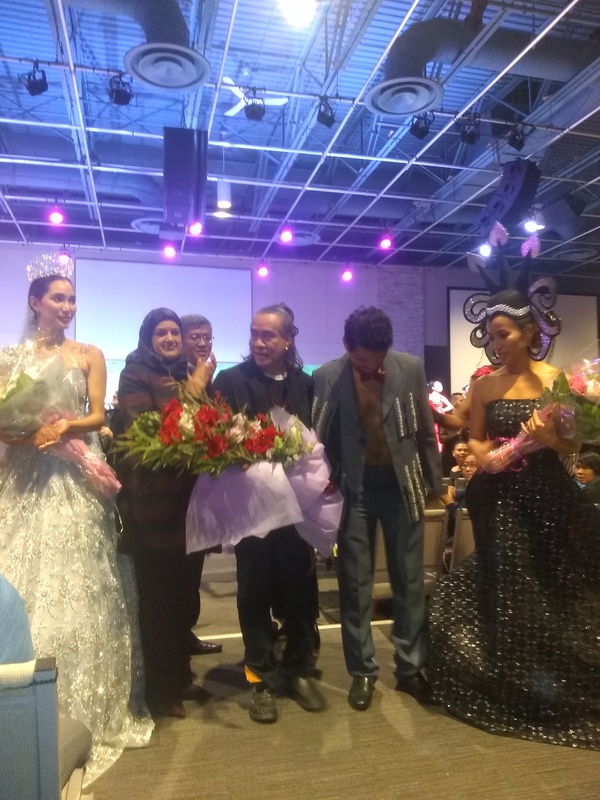 Bangkok, Thailand (December 17, 2018) – Today, Catriona Gray from the Philippines was crowned the new Miss Universe in front of a worldwide audience at IMPACT Arena in Bangkok, Thailand. The three-hour special programming event aired live on FOX in the United States. Catriona Gray is passionate about the arts and previously received her Master Certificate in Music Theory from Berklee College of Music. 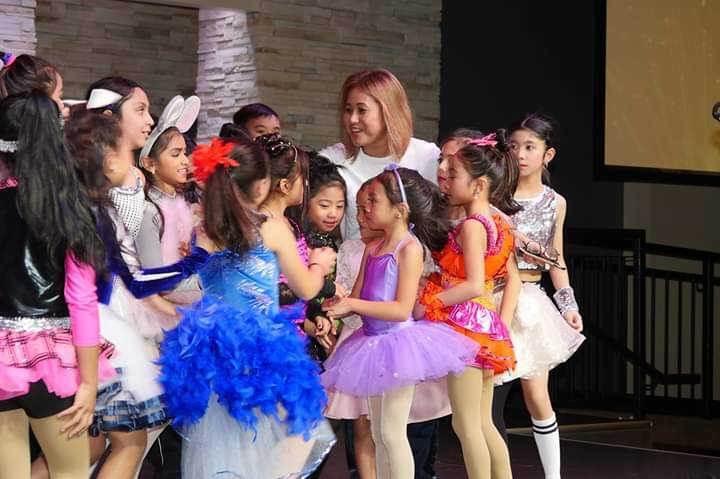 She works closely with Young Focus Philippines, an education based NGO that provides free education and school sponsorships for children in Tondo Manila, one of the poorest neighborhoods within the country’s capital city. 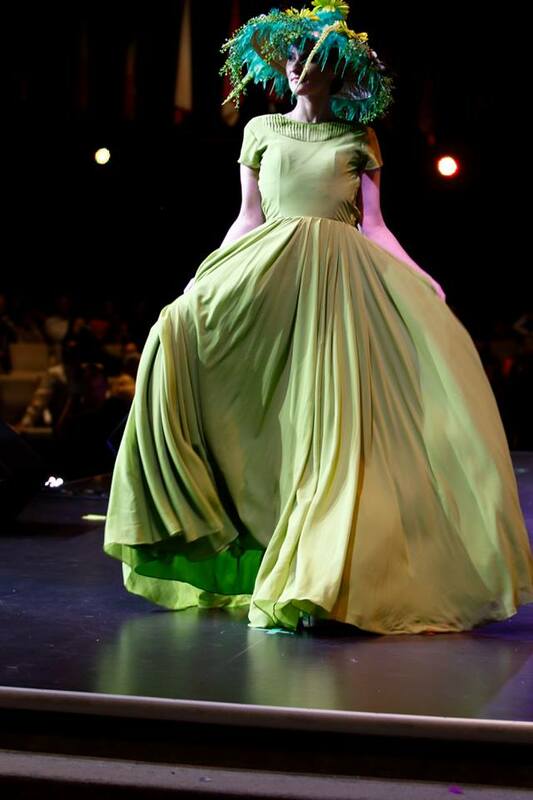 Additionally, Catriona is an advocate for HIV/AIDS education and prevention after losing a close friend to the virus. She supports Love Yourself Philippines, an organization that offers free testing, education and treatment to those living with HIV/AIDS, and now as Miss Universe, plans to bring more awareness to the epidemic. Now in its 67th year, MISS UNIVERSE® had a record number of contestants at the competition with women representing 94 countries. The top 20 finalists were selected from three regions of the world: Americas, Europe, Africa-Asia Pacific as well as a wild card group across all areas. 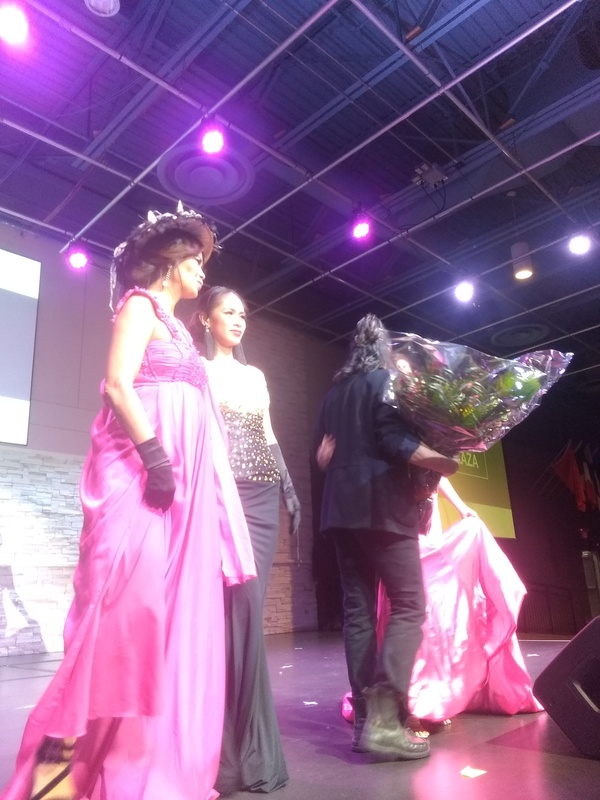 For the first time in the competition’s history, the finalists had the opportunity to share a personal statement summarizing what they wanted the world to know about them. Topics ranged from female health care, the environment, ethnic minorities, body positivity, and cultural diversities. The first-ever all-women selection committee panel was made up of entrepreneurs, business leaders, industry experts, and former Miss Universetitleholders. 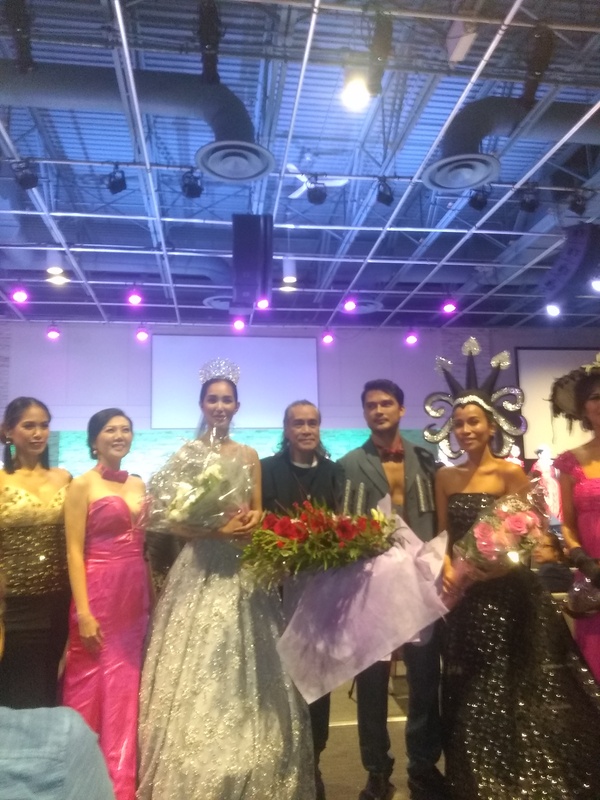 Miss Universe Spain Angela Ponce made history as the first transgender woman to participate in the pageant sharing a message ofinclusion, respect and diversity to the international community. 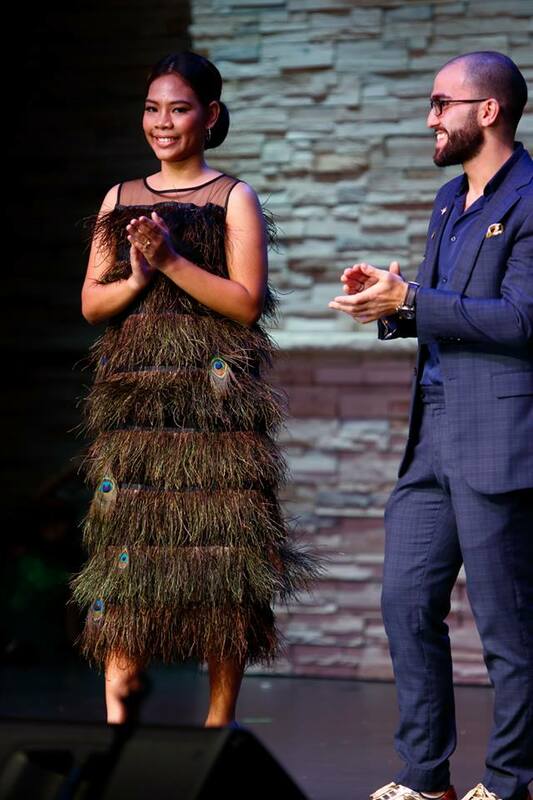 Miss Universe Laos On-anong Homsombath was honored as the winner of the National Costume Show and shared about her costume, the “Stream of Generosity,” a half-human, half-bird spiritual creature in traditional Laos’ folklore. Five-time Emmy® Award winner, and one of television’s favorite entertainers, Steve Harvey hosted the global event. Model, entrepreneur and body activist, Ashley Graham took viewers behind-the-scenes throughout the competition alongside TV personality and style guru Carson Kressley and supermodel and pageant expert Lu Sierra to provide commentary. Top Three: Miss Universe Philippines Catriona Gray; Miss Universe South Africa Tamaryn Green; Miss Universe Venezuela Sthefany Gutiérrez. Top Five: Miss Universe Puerto Rico Kiara Ortega; Miss Universe Vietnam H’Hen Nie; Miss Universe Philippines Catriona Gray; Miss Universe South Africa Tamaryn Green; Miss Universe Venezuela Sthefany Gutiérrez. 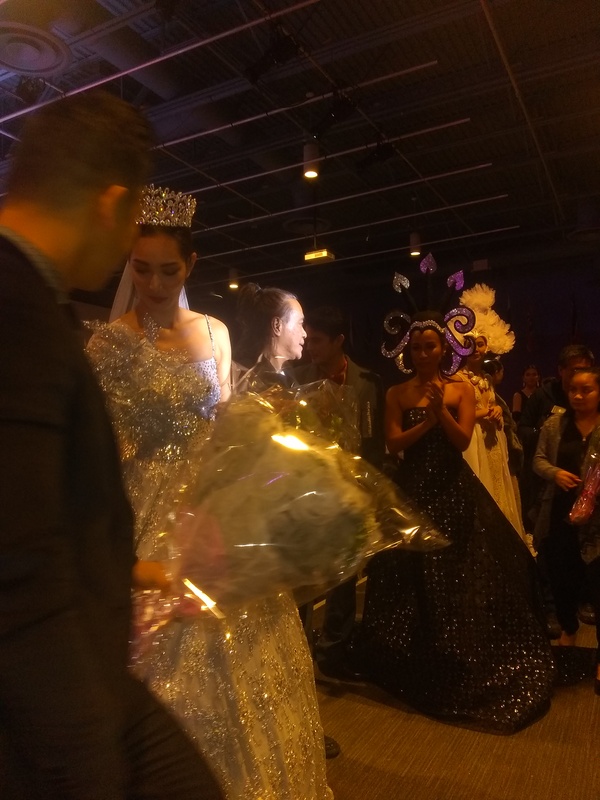 Top Ten: Miss Universe South Africa Tamaryn Green; Miss Universe Vietnam H’Hen Nie; Miss Universe Venezuela Sthefany Gutiérrez; Miss UniversePhilippines Catriona Gray; Miss Universe Costa Rica Naalia Carvajal; Miss Universe Curacao Akisha Albert; Miss Universe Nepal Manita Devkota; MissUniverse Canada Marta Magdalena Stepien; Miss Universe Thailand Sophida Kanchanarin; Miss Universe Puerto Rico Kiara Ortega. Top Twenty: Miss Universe South Africa Tamaryn Green; Miss Universe Philippines Catriona Gray; Miss Universe Nepal Manita Devkota; MissUniverse Vietnam H’Hen Nie; Miss Universe Thailand Sophida Kanchanarin; Miss Universe Poland Magdalena Swat; Miss Universe Belgium Zoë Brunet; Miss Universe Hungary Enikő Kecskés; Miss Universe Ireland Grainne Gallanagh; Miss Universe Curacao Akisha Albert; Miss Universe Costa Rica Naalia Carvajal; Miss Universe Canada Marta Magdalena Stepien; Miss Universe Puerto Rico Kiara Ortega; Miss Universe Jamaica Emily Sara-Claire Maddison; Miss USA Sarah Rose Summers; Miss Universe Venezuela Sthefany Gutiérrez; Miss Universe Indonesia Sonia Fergina Citra; MissUniverse Brazil Mayra Dias; Miss Universe Australia Francesca Hung. 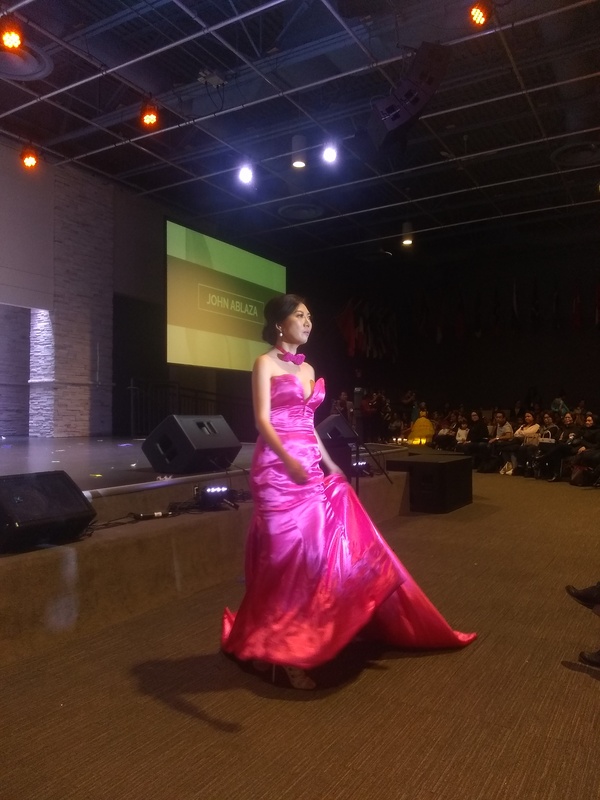 The Miss Universe Organization (MUO) is a global community that empowers women to realize their goals through experiences that build self-confidence and create opportunities for success. 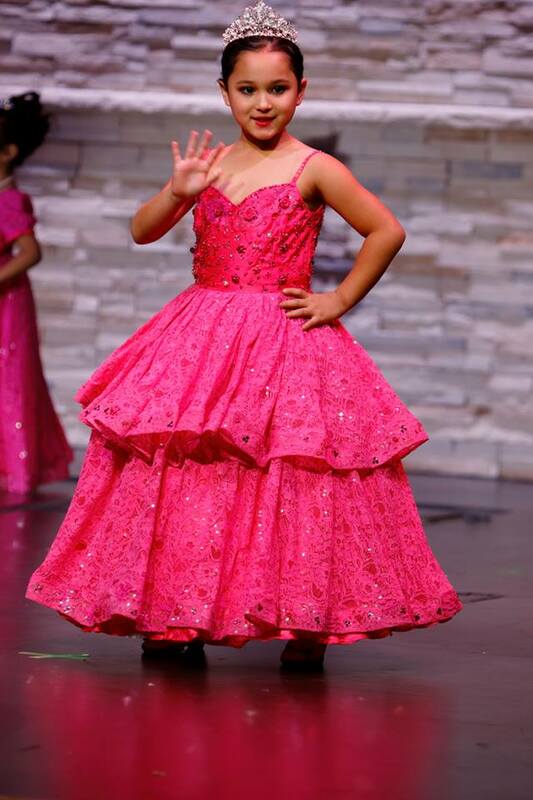 MUO believes that every woman should be “Confidently Beautiful.” MISS UNIVERSE®, MISS USA® and MISS TEEN USA® programs provide the 10,000 women who participate annually an international platform to affect positive change through influential humanitarian and professional efforts. 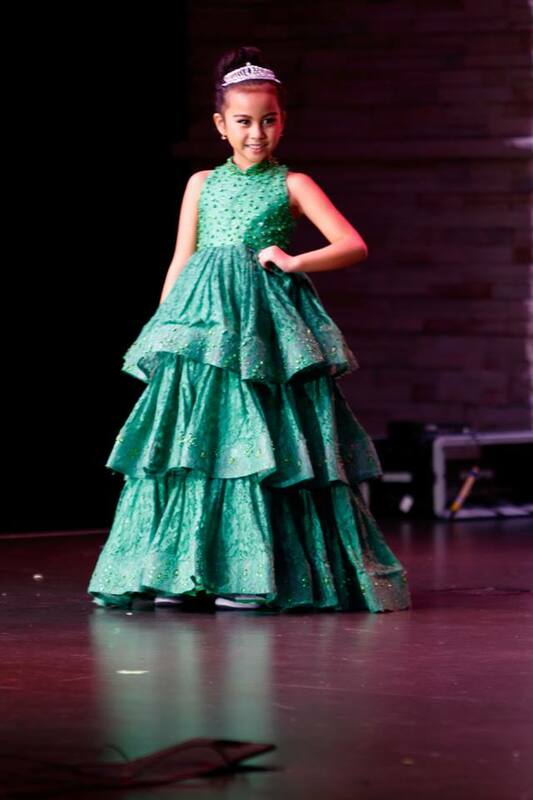 The contestants and titleholders are leaders and role models in their communities, develop personal and professional goals, and inspire others to do the same. The Miss Universe Organization is an Endeavor company. To learn more, visitwww.missuniverse.com. Endeavor, formerly WME | IMG, is a global leader in sports, entertainment and fashion operating in more than 30 countries. Named one of Fortune’s 25 Most Important Private Companies, Endeavor is the parent of a number of subsidiaries with leadership positions in their respective industries, including WME, IMG and UFC. Collectively, Endeavor specializes in talent representation and management; brand strategy, activation and licensing; media sales and distribution; and event management. For more information, visit www.missuniverse.com and MissUniverse on Facebook, Twitter, Instagram and YouTube. November 21, 2018, (Toronto, Canada) 30 years in the making. 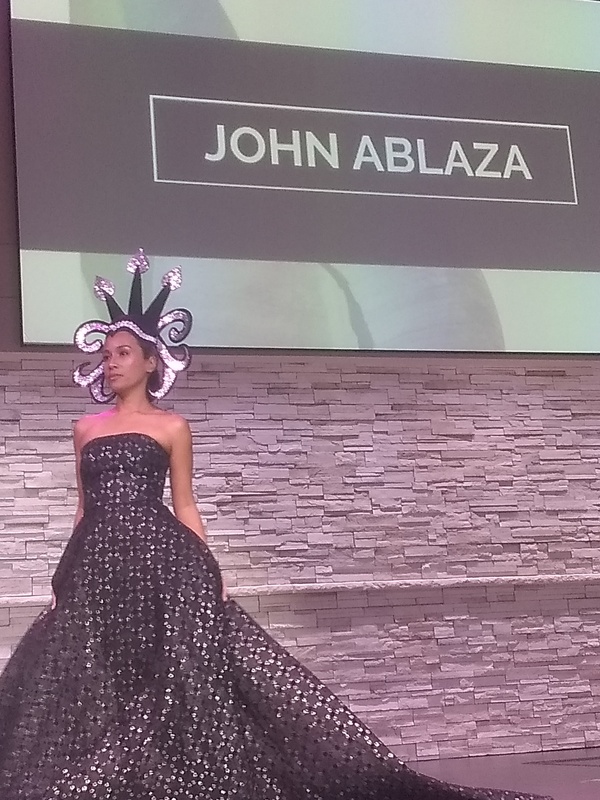 Philippines’ first eco-couture John Ablaza, has done it again and showcased craftsmanship and promoting sustainable materials from the Philippines to its finest last November 17, 2018, at the Toronto, Pavilion. 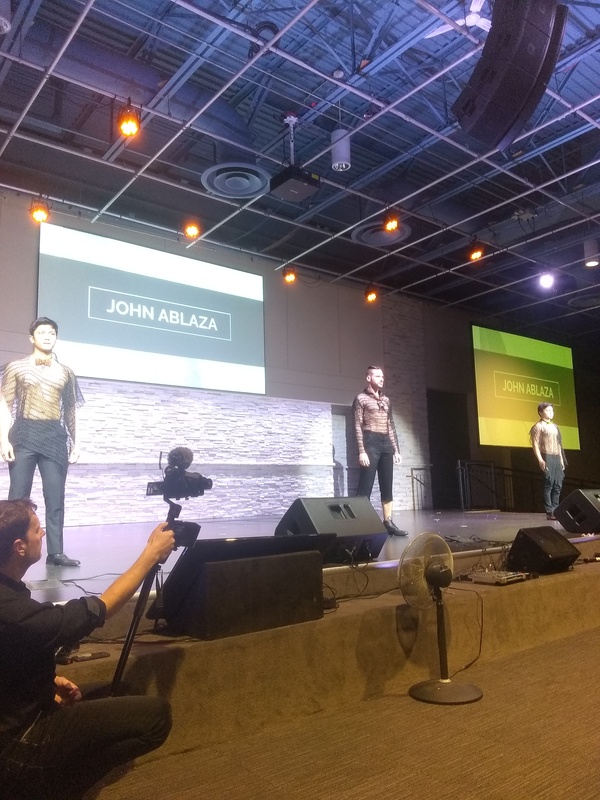 Prior to the fashion show, Star Circle talents took the center stage around 4PM, performing songs from the Greatest Showman. Starcircle Talents after performances with Ms. Elle aka Ellen Galarfort, Starcircle Entertainment Owner. From Red Carpet to Backstage. 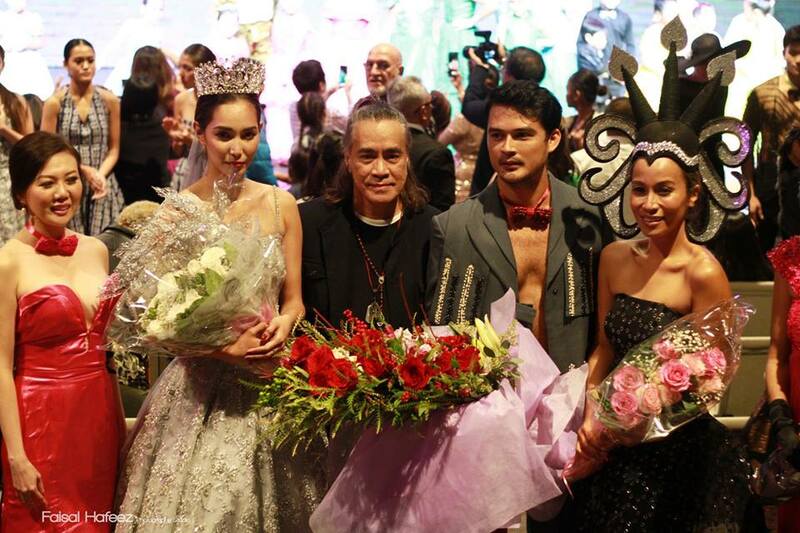 Rehearsals and Post Fashion Show Photo-Op with Alvin Masangkay Francia (Fashion Director). 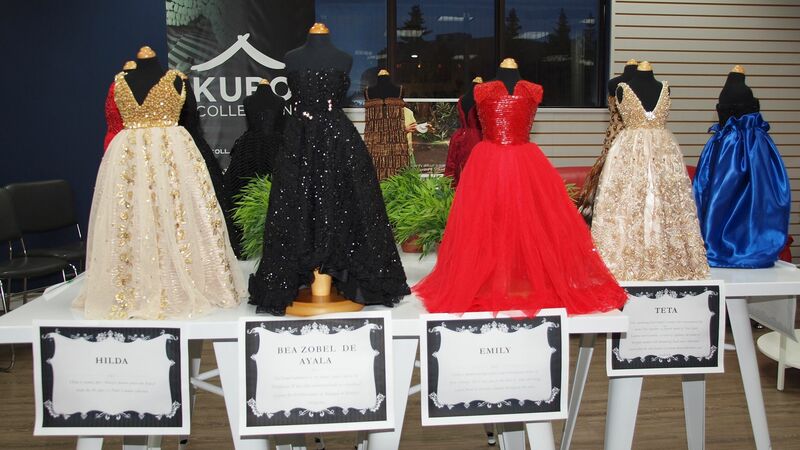 The red carpet event started around 5PM with special guests, sponsors, celebrities, and model. 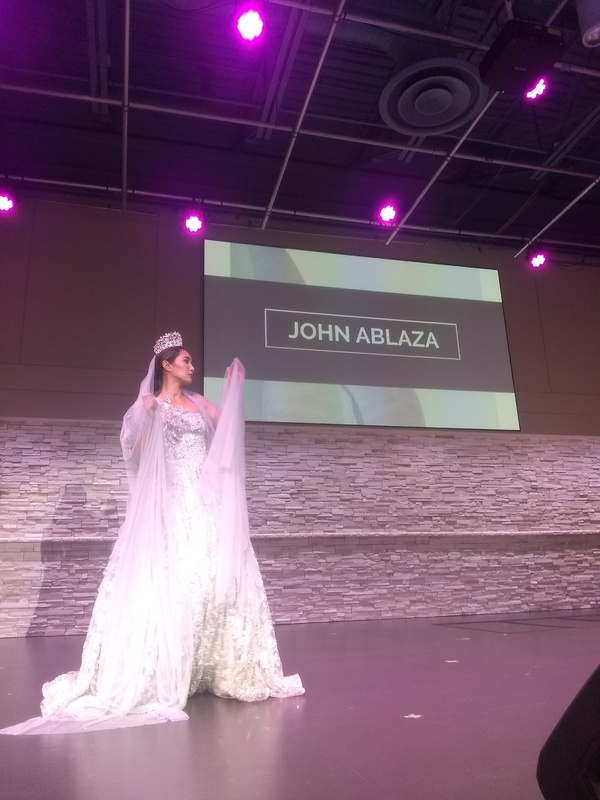 John Ablaza 30 years Behind-the-Seams highlights Kubo Barong Collection, John Ablaza, Kid’s Couture Launching and of course the main collection (30 years in the making). 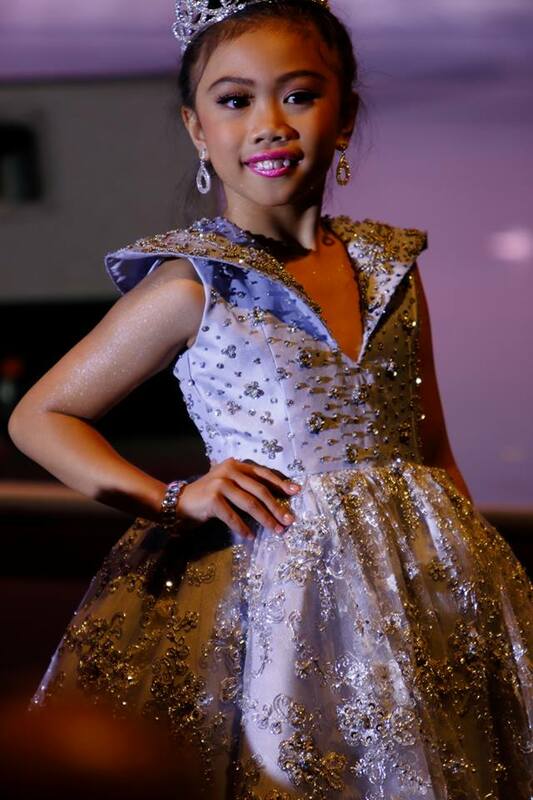 Plus showcasing the Le Petite Couture by John Ablaza at the lobby area. 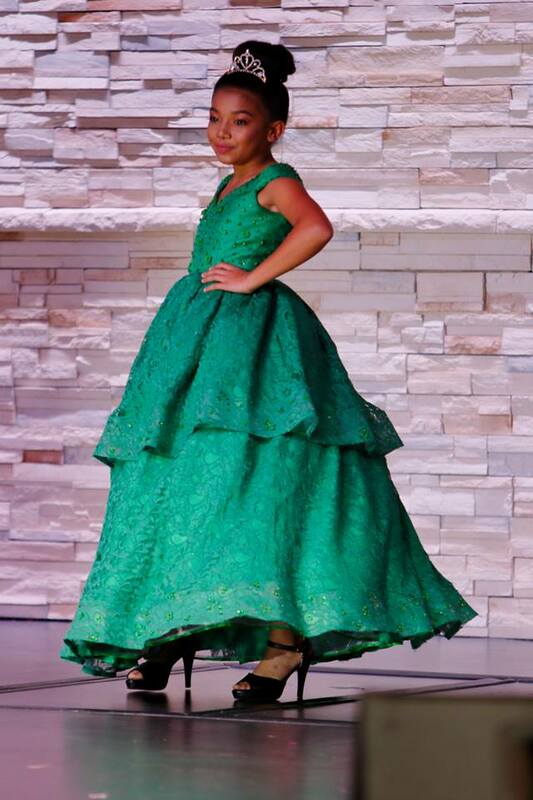 Bea Santiago was surprised having her own Le Petite Couture named after her. Let’s find out! Video. 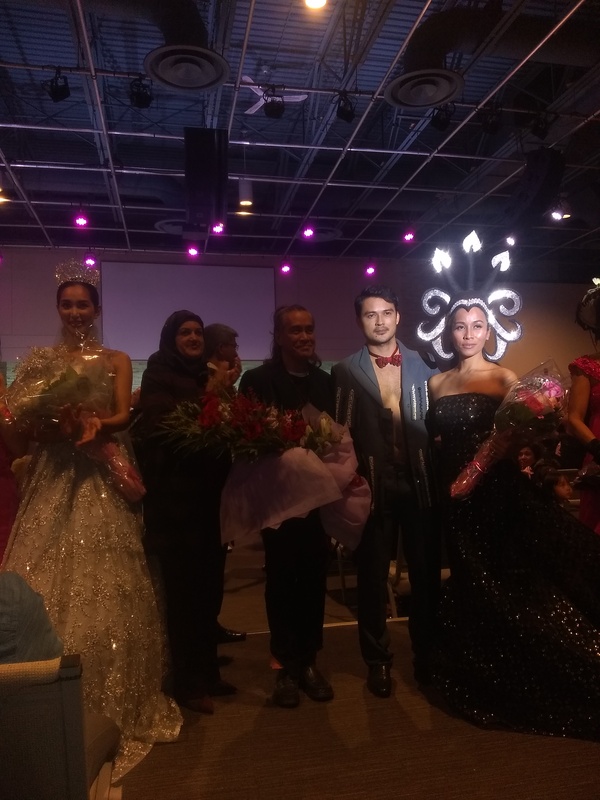 In addition, backstage moments with models we’re so memorable including the talents of Star Circle Entertainment. 30 Years Collection, and Finale. 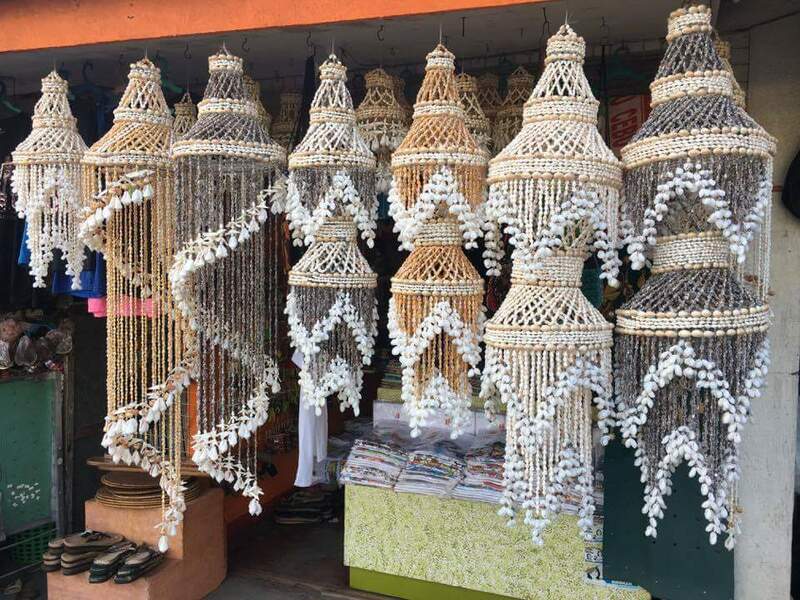 His designs from tree bark to coco beads that helped artisans and Mangyan women in providing a livelihood in Mindoro and parts of Metro Manila. Ablaza also has been helping St. Martin De Porres (School for Autistic and Down Syndrome Children) in providing school supplies and renovation of the school in Cebu City.. 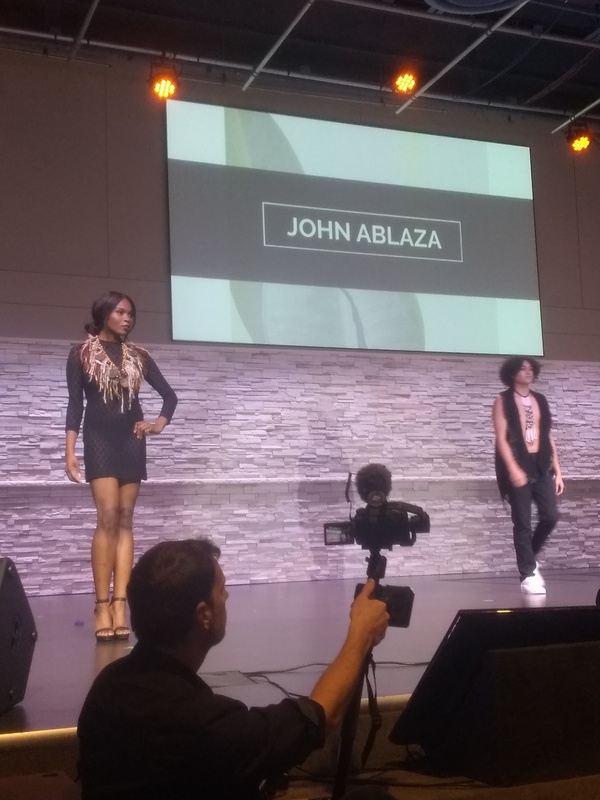 Importantly, Ablaza now focuses in the mentorship program to young designers and artisans to hone their talents and skills. Particularly, he started it in Zimbabwe, Africa, a project of the U.S. Embassy in Harare headed by Former Ambassador Harry Thomas and the wife Mithi Aquino-Thomas. 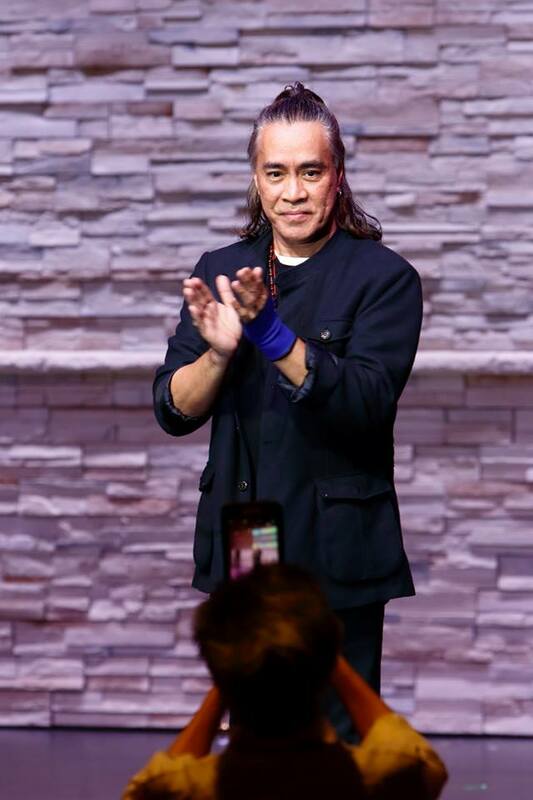 Lastly, the first quarter of 2019 Mr. Ablaza’s scheduled to return to Africa to continue what he started along with world-renowned photographer, Filbert Kung. Produced by Star Circle Entertainment. 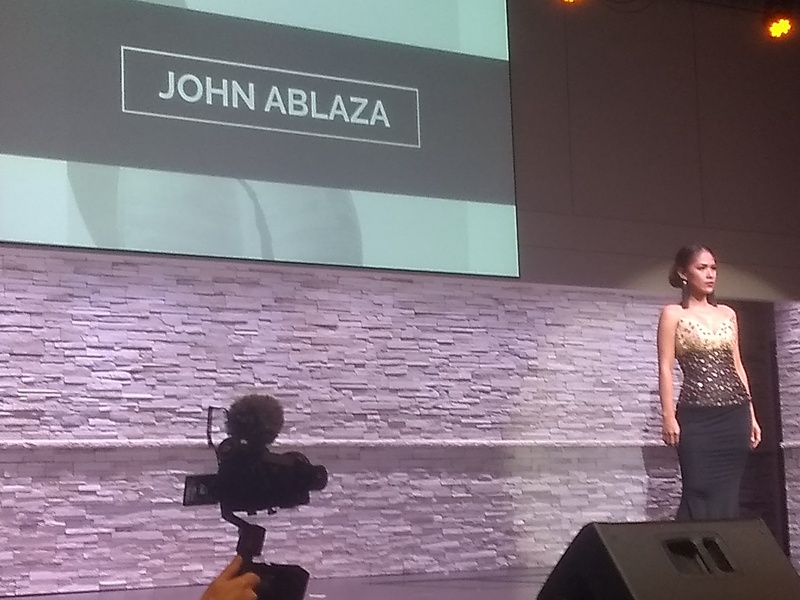 On behalf of #JohnAblaza‘s Team, we would like to thank the people who made 30 years Behind-the-Seams a success!. Our producer, Star Circle Entertainment: to Ellen Galorport aka Ms.Elle, Phoebe Yap Chan, and Maria, you guys are the best host ever. 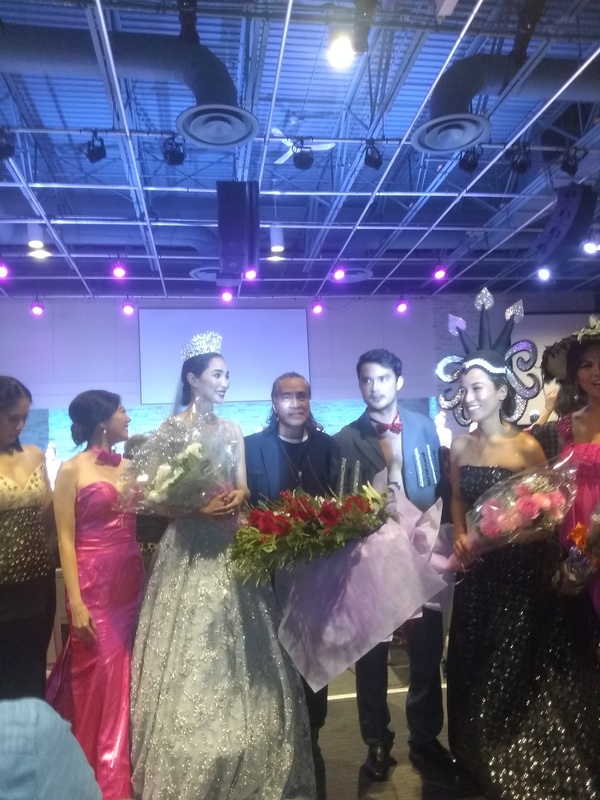 Our models, Bea Rose Santiago(#MissInternational 2013), Ben Isaac, and Lady Diana Alvaro who traveled all the way from the Philippines. 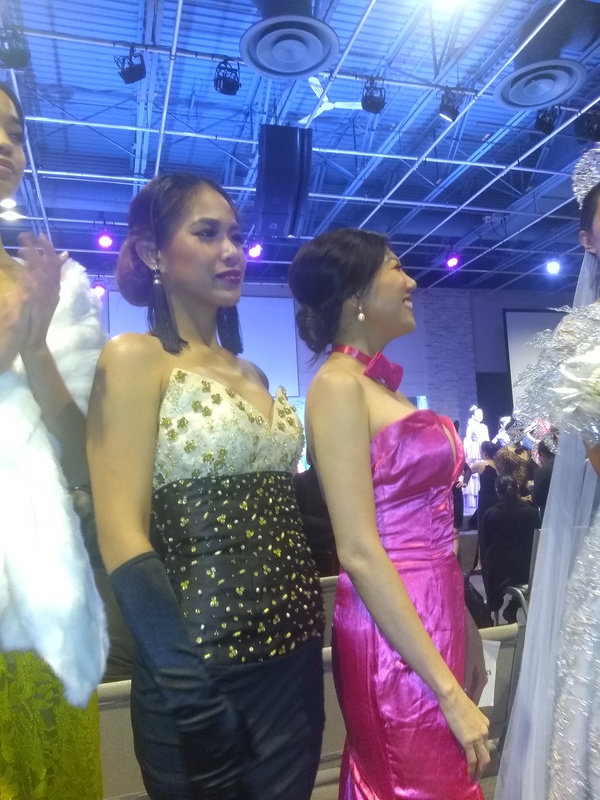 Our models from the U.S., Mithi Aquino-Thomas and Fides Spes Caritas. 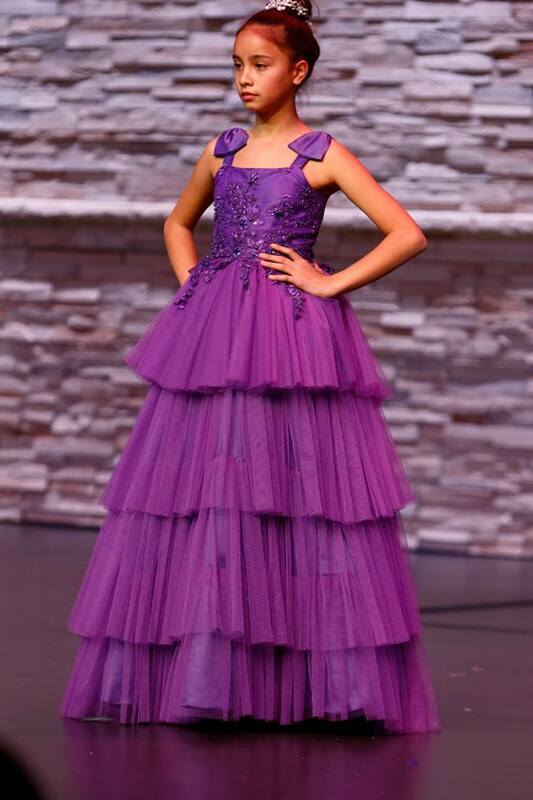 Models from Calgary and the stage director, Alvin Masangkay Francia you are awesome. 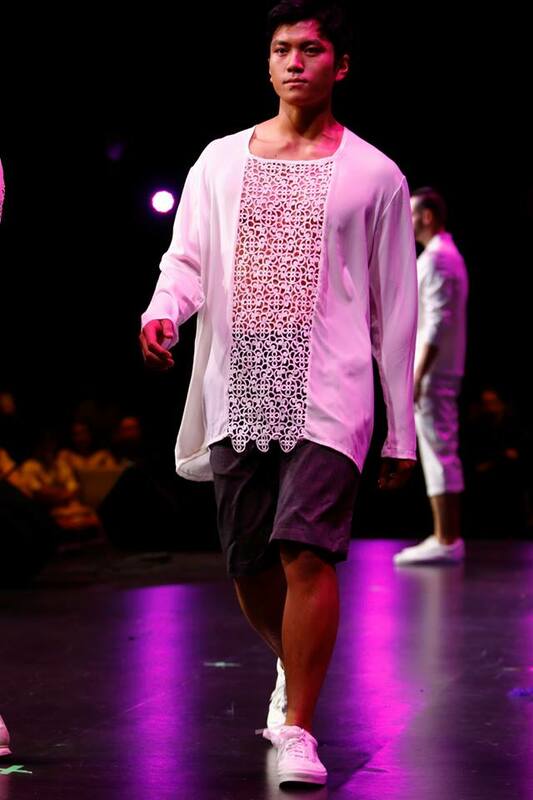 Rico Ray, you made the fashion show so exciting because of the amazing beats and music. 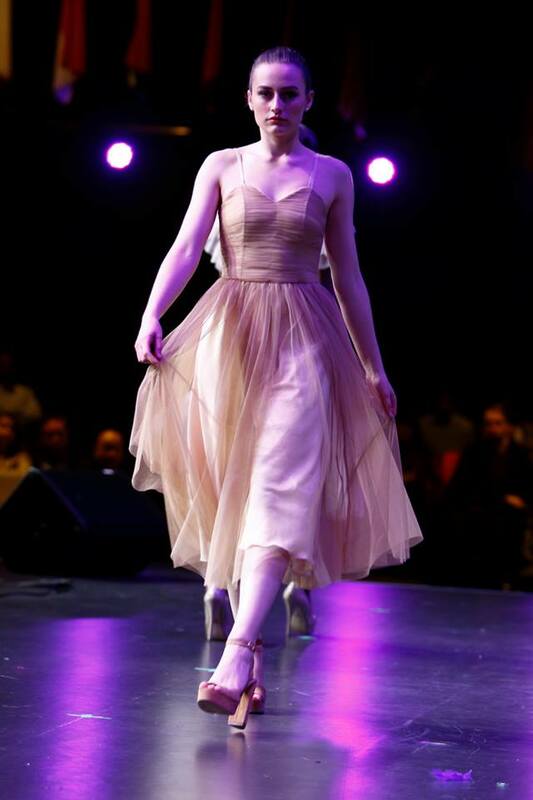 Local models from #Toronto, #EmilyB, Robert Xavier and so on many to mention. 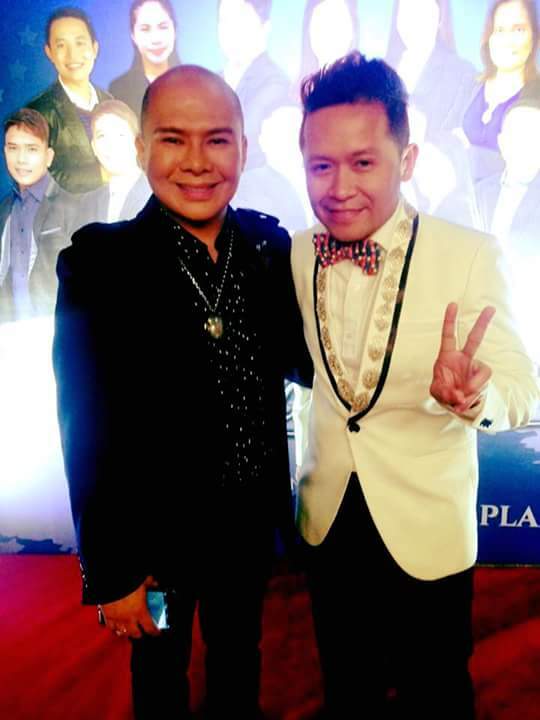 Star Circle Kids, Ronnie Dela Gana and Claire De Rivera of #KuboBarong, make-up artists and volunteers. Wonderful and entertaining host, Gloria Gift. Thankful for all the media/press/photographers and Toronto Pavilion. All our sponsors, VVIP guests, friends fans and parents of star circle talents. 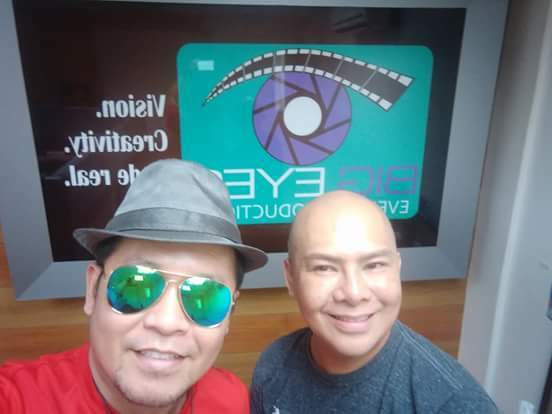 My assistant that day, Rhovic-Magene Cabato and Kuya Manny. – MJ Racadio, the publicist/Road Manager/#TheBlogger. 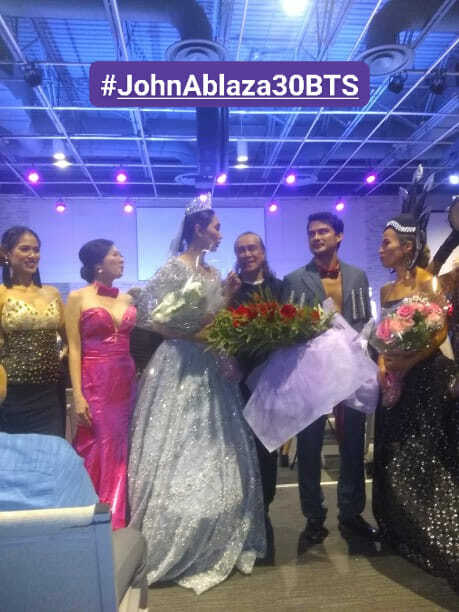 BlogTalk with MJRacadio #JohnAblaza30BTS, #JA30BTS#30yearsbehindtheseams. 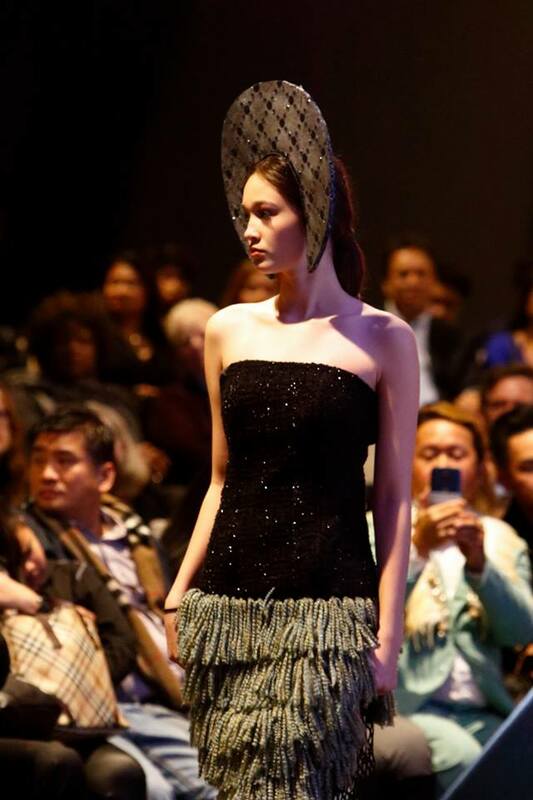 LOS ANGELES, OCT. 11, 2018 –TheMetropolitan Fashion Week (MetroFW)announced winners of its fashion and costume awards honoring outstanding achievements in fashion and costume design in motion pictures and television, during the 6th Annual Metropolitan Fashion Week Closing Gala and Fashion Awards, held at the iconic Los Angeles City Hall Forecourt and Rotunda on Saturday, October 6, 2018. Three-time Academy Award winner Makeup Artist, VE NEILL (A Star Is Born, Beetlejuice, Mrs. Doubtfire) was honored with the “Excellence” Award. Presenting the award to Ms. Neill was actor STEVE CARELL, best known for The Office, The 40 Year-Old Virgin and Foxcatcher and star to the upcoming movies Beautiful Boy and Welcome to Marwen. 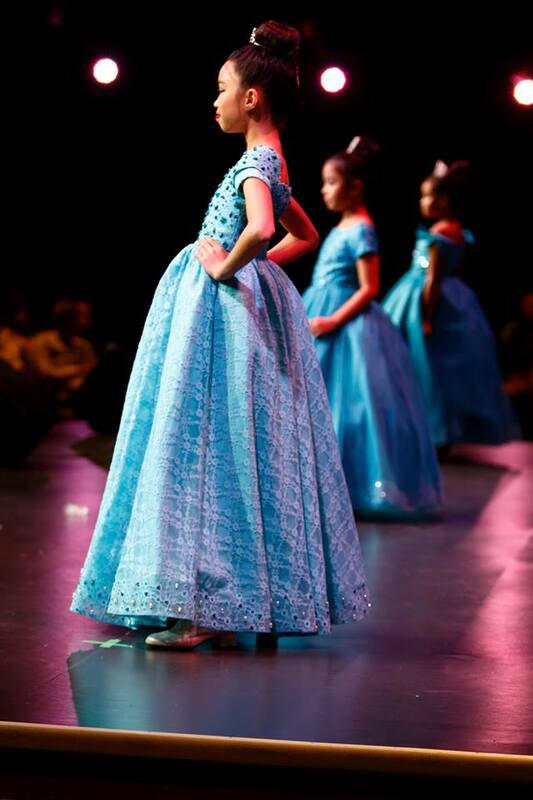 America’s Next Top Model AVA CAPRAand Metropolitan Fashion Week Founder and President EDUARDO KHAWAM hosted the event, which was attended by over 1200 industry VIP’s celebrities, costume and fashion designers and makeup exclusively by Cinema Makeup School. Winners in the motion picture categories included a tie for Costume Designer of the Year – Motion Pictures: RUTH E. CARTER for her costume design in BLACK PANTHER (Marvel Studios) and MARY E. VOGT for her costume design in CRAZY RICH ASIANS(Warner Bros. Pictures); Costume Designer of the Year – Television: JACQUELINE DEMETERIO for her costume designs in YOUNGER(TV Land); Outstanding Ensemble For Make-Up Artist & Hair Stylist – Motion Picture or TV: JOEL HARLOW, CAMILLE FRIEND & KEN DIAZ for BLACK PANTHER (Marvel Studios); Fashion Designer of the Year: Fashion Designer DOUGLAS TAPIA (Venezuela). 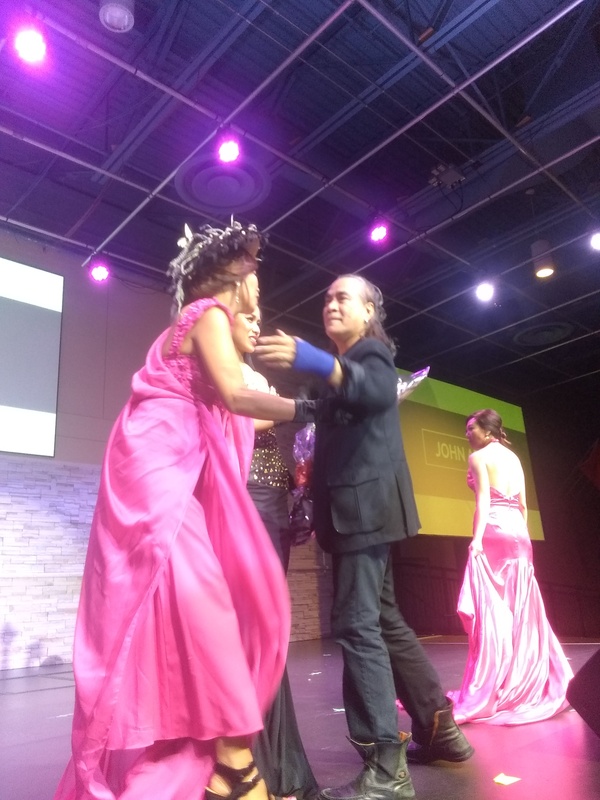 Award presenters included Actress Producer & former Miss Universe, ALICIA MACHADO; celebrated Hollywood MediumTYLER HENRY, who was also filming segments of the fourth season of his TV show Hollywood Medium; Telemundo52 – Acceso Total HostELVA SARAY; and MetroFW Fashion DirectorNIVEEN HEATON among others. 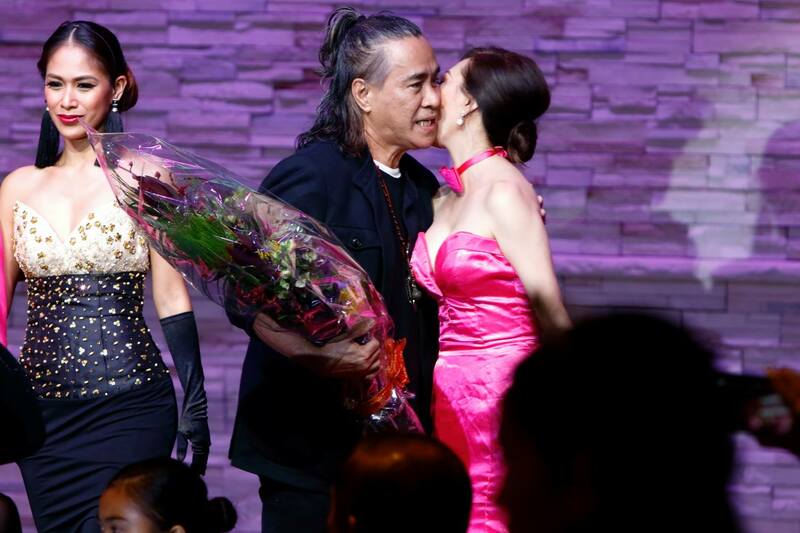 BEBE CORONEL and JAQUIE RIVERA performed the Academy Award Winning song “City of Stars” to celebrate the event’s location in the heart of Los Angeles. In addition to the Metropolitan Fashion Awards, the Gala showcased a unique, exclusive one-of-a-kind runway fashion show featuring Fashion Designers MELLARDI, Giovanni Testi, ErickBendaña and introducing the Metropolitan Fashion Capsule Collection byDouglas Tapia and hats by Arturo Rios.A special segment of Haute Couture and Avant Garde Masterpieces was also showcased, inspired by the KING TUT: Treasures of the Golden Pharaoh Exhibit currently on display at the California Science Center, and designed by over 15 international fashion designers. 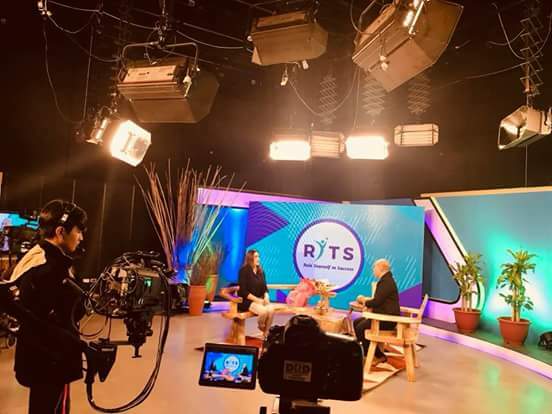 The show is produced and directed by EDUARDO KHAWAM, fashion expert, producer and TV personality for Telemundo and the CW, and Executive Producer PAUL JARAMILLO. 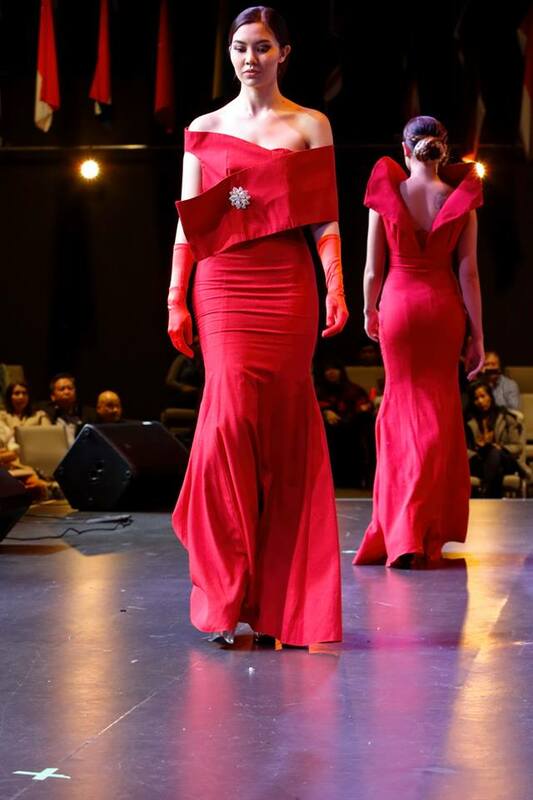 During the 2018 Closing Gala MetroFW, NAZIK UTUCHIAN, Designers’ Director, announced that next year’s 2019 Metropolitan Fashion Week will be held at the iconic Los Angeles Memorial Coliseum. Dates to be announced. 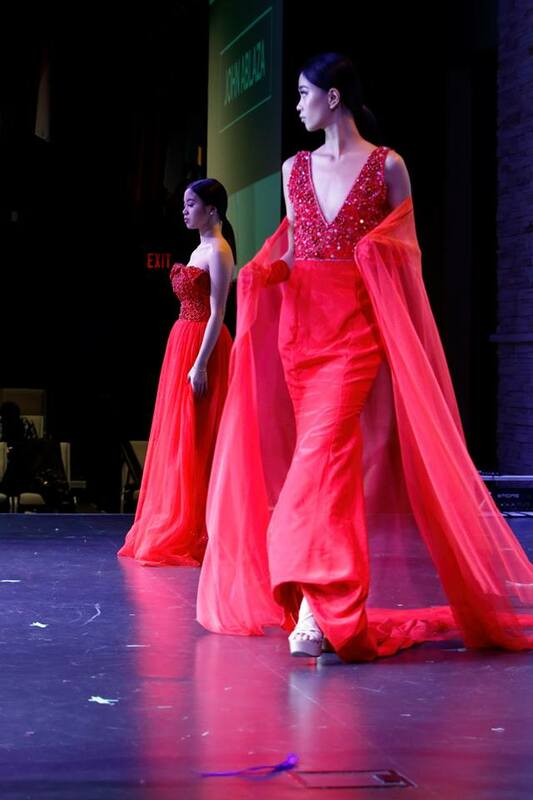 ABOUT METROPOLITAN FASHION WEEK: Metropolitan Fashion Week events are held in dramatic, non-traditional venues that showcase not just best fashion designers or costume designs, but the most beautiful venues each city has to offer. 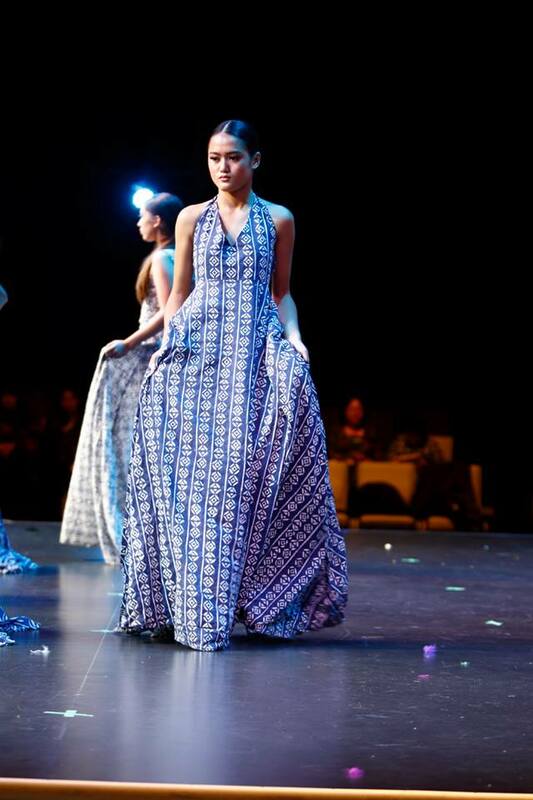 MetroFW is one of the fastest growing fashion weeks in the United States, with shows in Seattle, Los Angeles and Las Vegas. Official video reel click here . October 02, 2018, (Los Angeles, California). 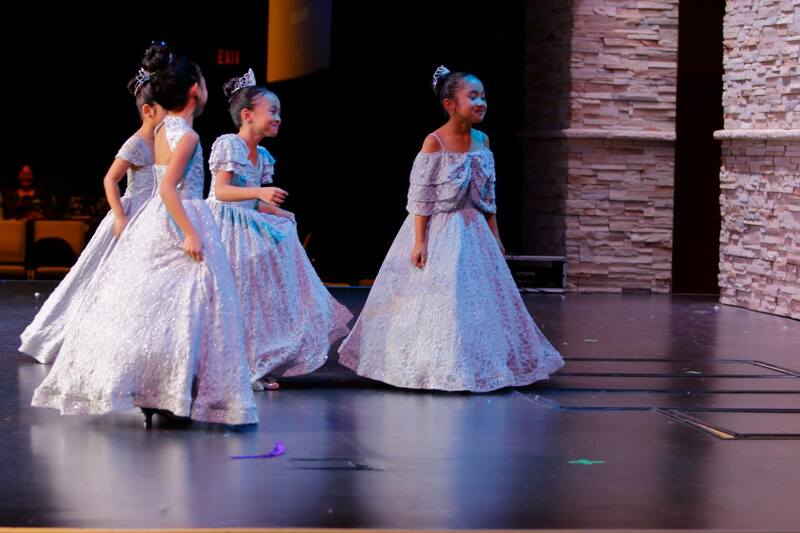 Wow, it has been five years, since created this movement, in conjunction with Filipino-American History Month (October). Therefore, about time to recognized our fellow Fil-Ams with their variety of contributions in American society. Here are the following lists, who made it this year 2018. Janet Nepales (Hollywood Journalist/ Executive Secretary of Hollywood Foreign Press Association/Executive Producer of 75th Golden Globe Awards). 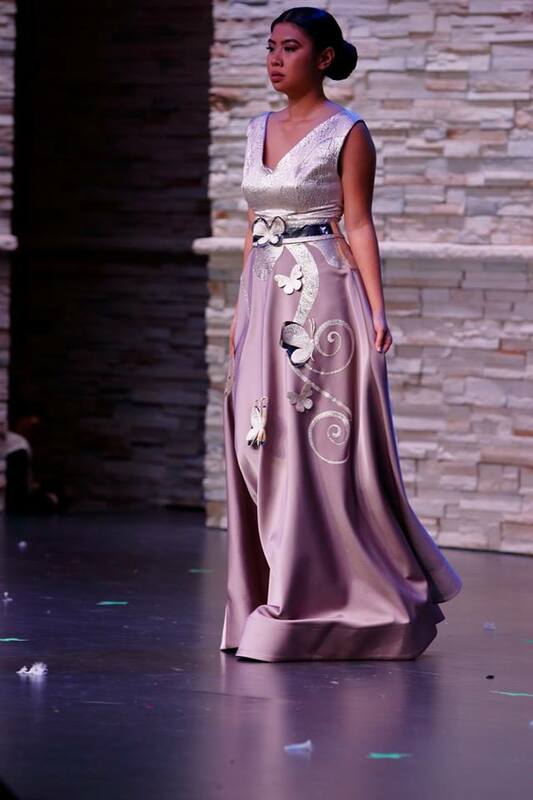 Angela Perez Baraquio–Grey (Miss America 2001/School Principal/Character Education Advocate). 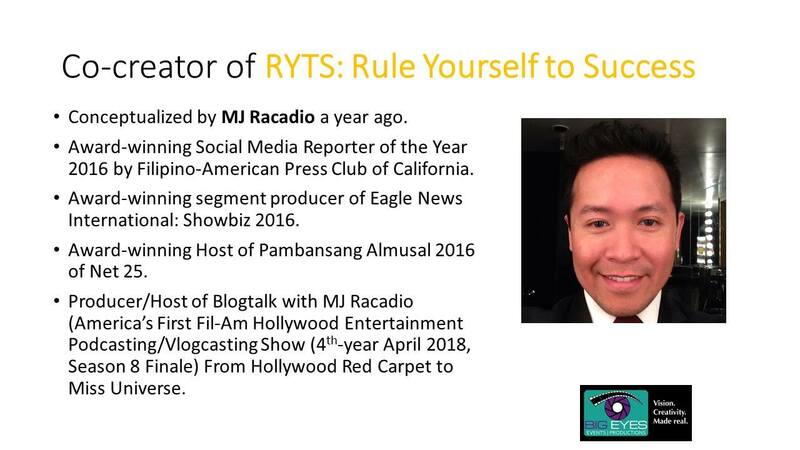 MJ Racadio, Host/Executive Producer of Blogtalk, Social Media Reporter of the Year 2016. 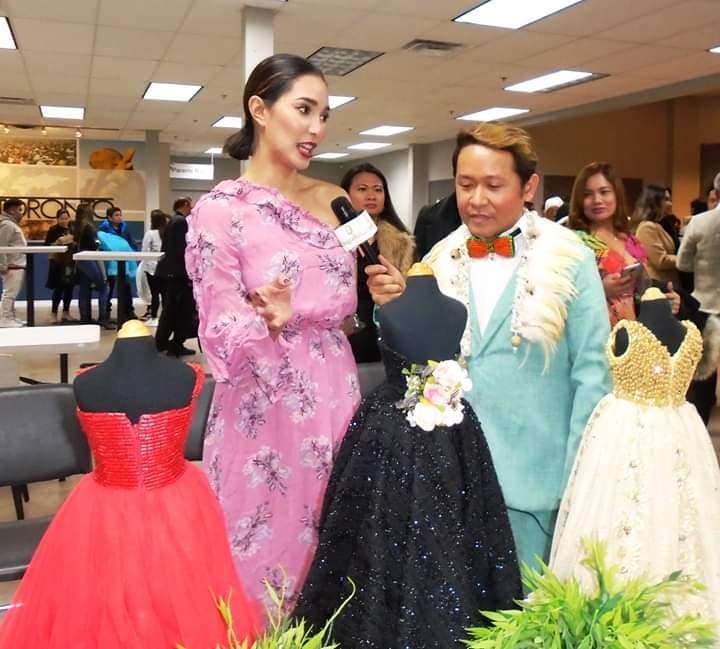 One of the official Bloggers/Media of Miss Universe, an active member of Los Angeles Press Club and Filipino-American Press Club of California. Freelance Producer of Eagle Broadcasting (Eagle News International). 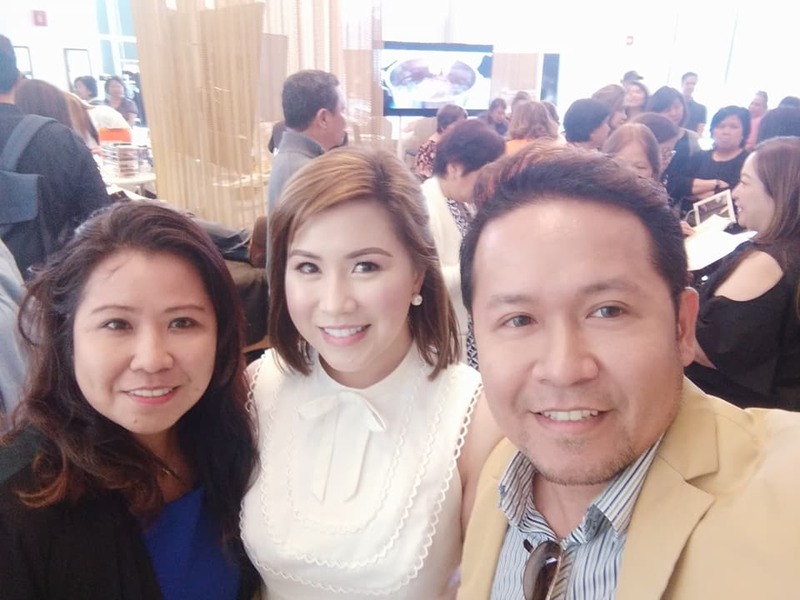 Los Angeles, California (September 05, 2018) When it comes to beauty there is one name who stands out, her name is Olivia Quido-Co also known as Ms. O, a celebrity beauty expert from Los Angeles, California. 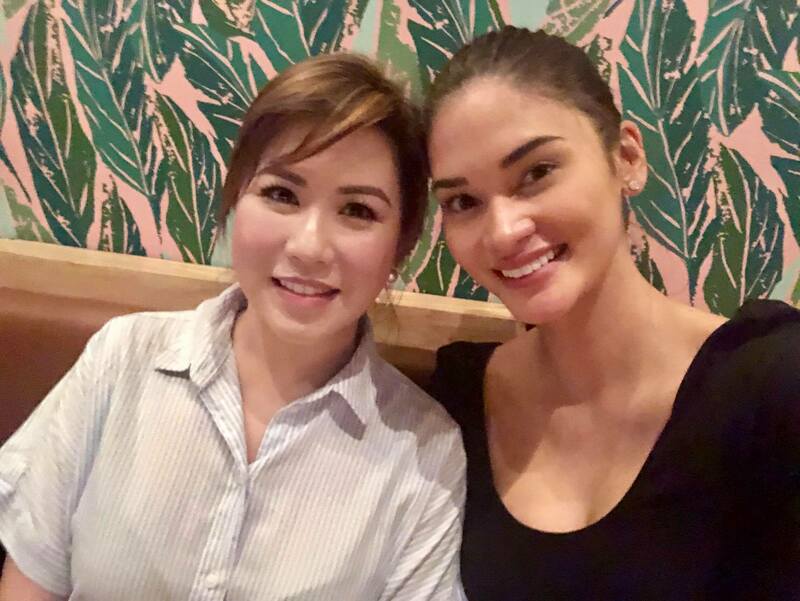 Her impressive lists of clientele include Pia Wurtzbach, (Miss Universe 2015), Ruffa Gutierrez, (Moviestar/Host/Model) and KC Concepcion (Actress, Singer/Model), Megan Young (Miss World 2013), Boy Abunda (Asia’s King of Talk) and so on. I had a chance to meet Ms. O in person during Summer Beauty Bonanza last July 20, 2018 in Daly City, California along with her brand ambassadors, Pia Wurtzbach and Daniel Matsunaga. 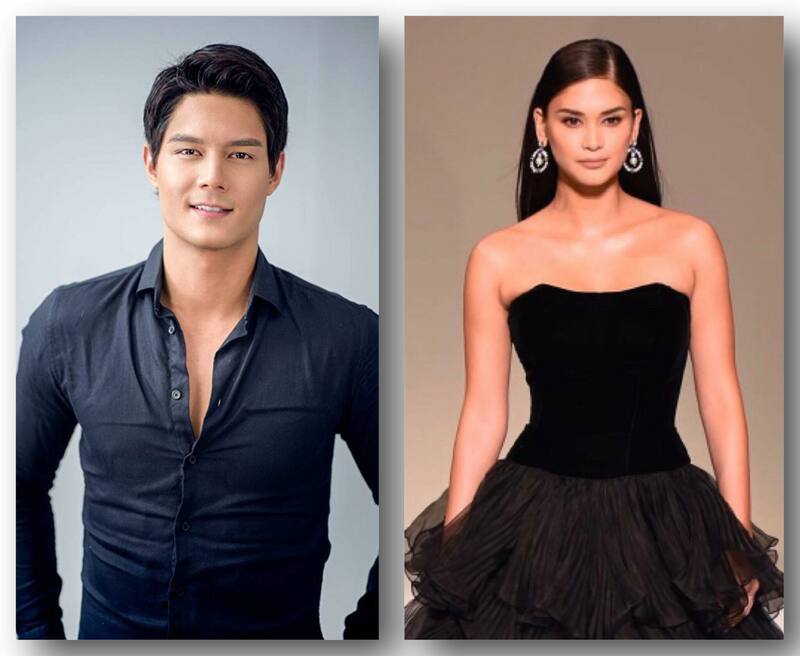 Daniel Matsunaga (Brazilian Model/Actor) and Pia Wurtzbach. Photo Credit: From O Skin Care Facebook Page. 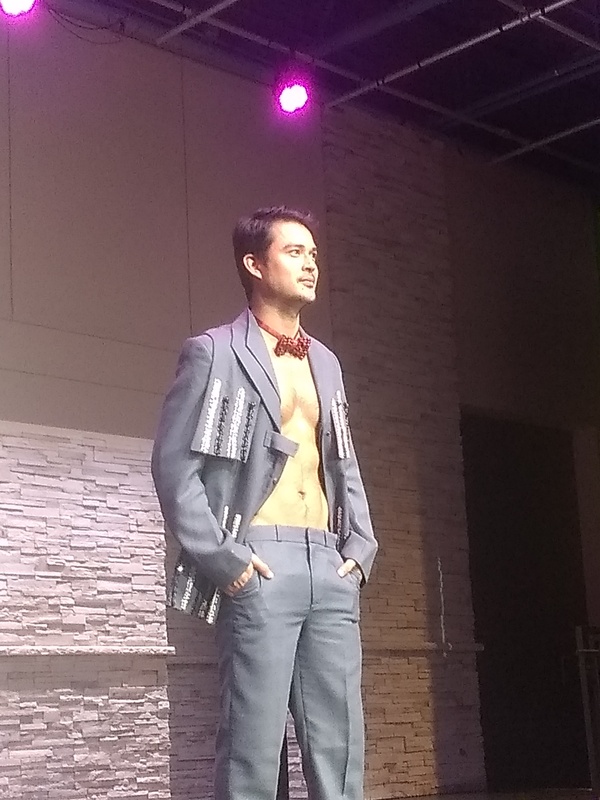 Ms. O was talking, Pia Wurtzbach, Right, Daniel Matsunaga. Getting-to-know the real Ms.O, recently interviewed via over the phone. Let’s find out. MJ: Who is Ms. O as a person? 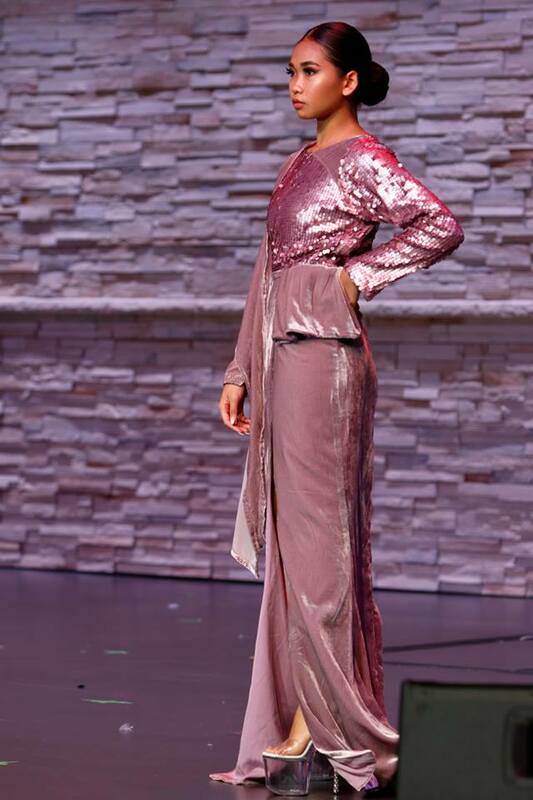 Ms. O: I’m a fun person, God fearing, I love people and passionate about making people look good. MJ: What are your hobbies? 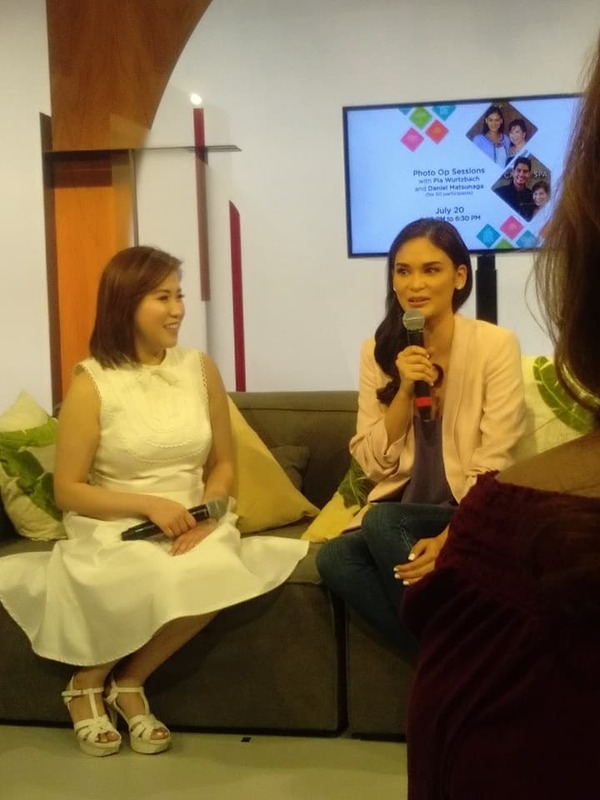 Ms. O: I love playing the piano, arts and crafts, actually that’s my favorite bonding-time with my daughter and I love watching concerts. MJ: What inspired you to become a beauty-expert? 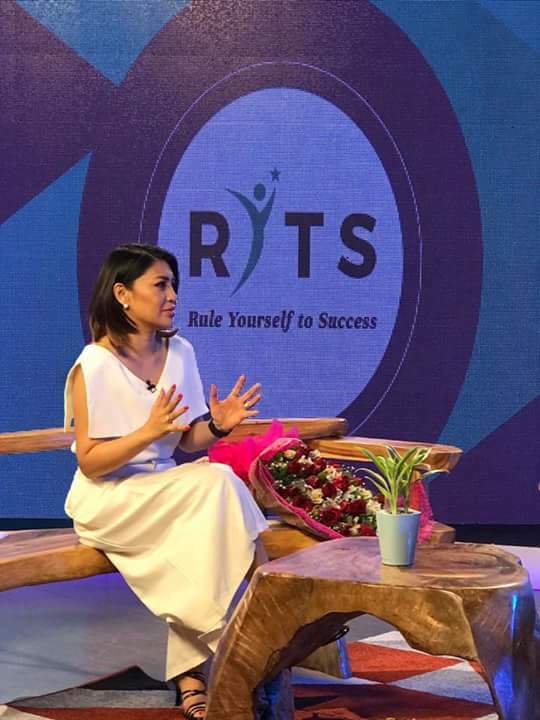 Ms. O– First, “I studied computer programming in De La Salle-College of Saint Benilde, Business Administration major in computer application. In addition, I designed the computer system of the business to become paperless. Since I arrived in States, wanted to follow my passion in facial because I love people and helping them to look beautiful.” Unfortunately, Ms. O realized that computer programming was not her passion. Ms. O– I want people to see my fun side. Usually, I’m very professional and love going out with my family and blessed with four beautiful children and a very nice husband. I want my clients to be my friends and I do not want just a client. I want them to be part of the family. I am so happy with my team and doing skin care for 15 years. I am very grateful to my clientele not only as client but good friendship. Left, MB Racadio (Blogtalk Producer), Ms. O (Celebrity Beauty Expert) and yours truly, The Blogger. (Quezon City, Philippines), May 11, 2018. The long wait is finally over, RYTS: Rule Yourself to Success will be shown on May 12, 2018, 4-5PM in Net 25 (Eagle Broadcasting Corporation). Kuya E and I conceptualized this show over a year ago at Big Eyes Events and Productions. 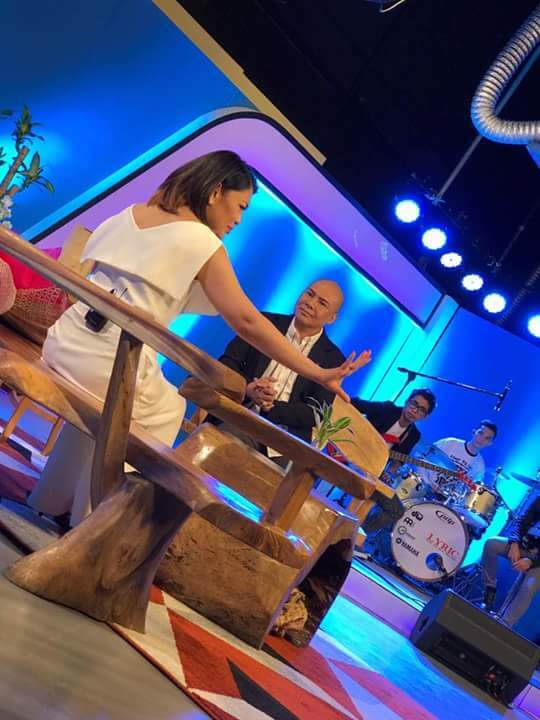 Brainstormed and we came up with almost like where Oprah meets the Talk kind of show where Kuya E interviews known celebrities in the Philippines and discuss their inspiring stories in Shine like a Diamond segment to the viewers. 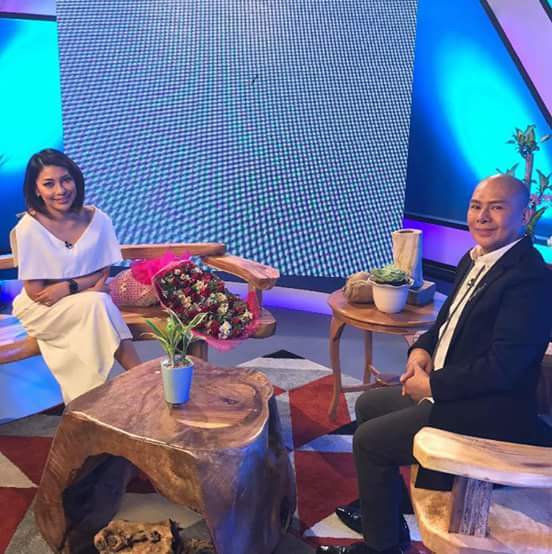 Aside from that, Kuya E also focus on exciting segment called “All About Success” where he invites business people to share their knowledge in how to make it as a successful entrepreneur. In addition, the viewers can expect Tulong ni Kuya E (Outreach) which is helping less fortunate individual across the archipelago. Let’s find out his story surviving the cancer and becoming a “Millionaire Maker”. RYTS Behind-the Scenes inside Eagle Broadcasting Studio. Hollywood, California (April 29, 2018). 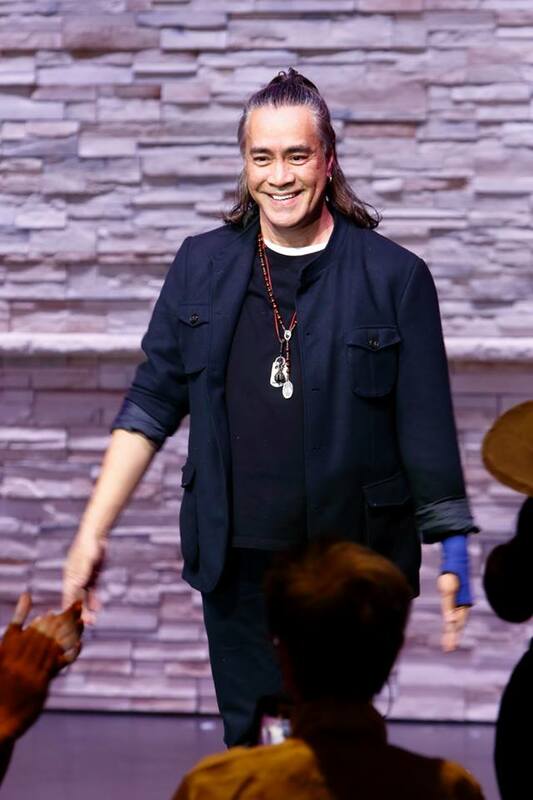 Filipino-American Marc Anthony Nicolas snag another Emmy for the Talk as one of the producers. I had a chance chatting with him prior to his winning last year 2017. MJ Racadio: How ya been? 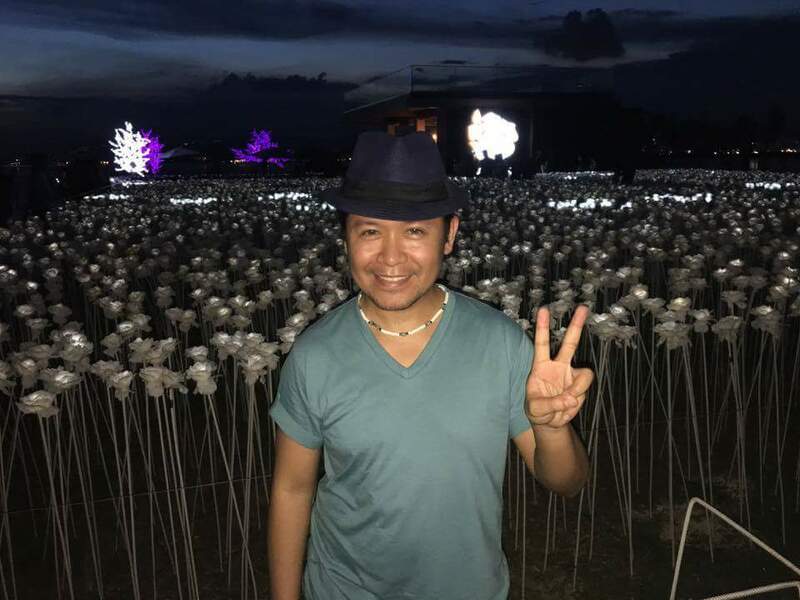 MJ Racadio What is your message to your fellow Kababayan? MJ Racadio Marc Anthony Nicolas with your success, any other wishes and dream for Marc Anthony? MJ Racadio Thank you! for catching-up with my very famous and yet very humble friend in so called #Hollywood or #Lalaland. Regards to the hosts of #TheTalk and don’t forget to shout-out. Before ending this catching-up, Tell me your favorite Filipino Food, Places in The#Philippines, The Best #Filipino moments. 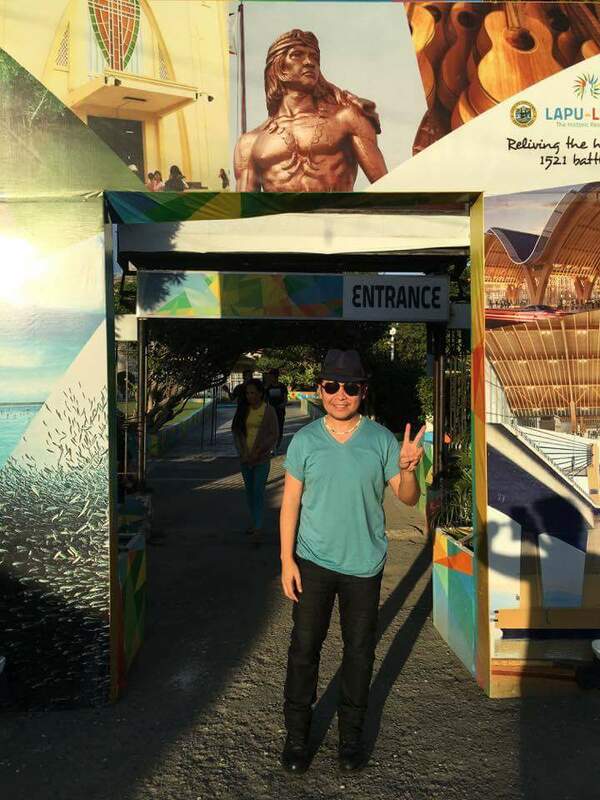 Marc Anthony Nicolas My favorite food is pancit and lumpia. Every place in the Philippines is amazing but I really want to go to Palawan. 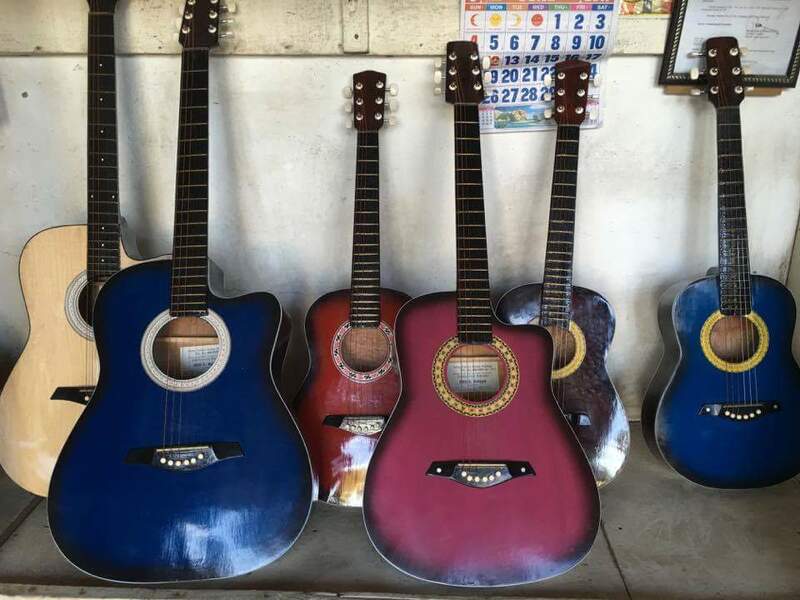 My favorite Filipino moment is when I visited the Philippines during the holidays and everyone was at my Lola and Lolo’s house eating and singing. It was so fun! They would light the firecracker, Sinturon ni Judas which put a smile on my face. Marc Anthony Nicolas holding his very first Emmy for winning as one of the producers of #TheTalk. Brian McFadden and Keith Duffy, part of the multi-platinum, record breaking bands, Westlife and Boyzone, have joined forces to create Boyzlife. Boyzlife is the thrilling untold story of life in two of the world’s biggest boybands, with the lifelong friends walking the audience through their lives – captivating tales of the highs, the lows and of course weaved in between the stories will be an intimate performance including a selection of their biggest hits that forged their careers! Boyzlife has been selling out all their special intimate performances since their formation in 2016. During Brian’s time in Westlife the band secured a record 7 straight Number 1 singles, 12 UK & Ireland Number 1 singles in total, 4 Number 1 Albums, x3 Record of the Year Awards, x2 MTV Europe Music Award, x1 Brit Award and countless others. Sales during this time reached in excess of 30 million. Among Westlife’s chartbusting singles are; “Swear It Again”, “My Love”, “Fool Again”, “Queen of My Heart”, “I Have A dream”, “Uptown Girl”, “I Need You”, “Soledad”, “All or Nothing”, “Seasons In The Sun”, and many more! Brian’s debut solo single ‘Real To Me’ topped the charts in the UK, Ireland and across Europe, becoming one of the biggest radio airplay hits that year across the continent. Brian followed this up with a further three solo Number 1 singles and platinum status in Australia where he resided. As a member of Boyzone, Keith has enjoyed incredible success, with the band being Europe’s most successful boyband during the second half of the 1990’s and the success has continued for many years. Achieving 6 UK Number 1 singles – with 16 of their first 17 singles going Top 5 in the UK Charts – it cemented Boyzone as the first Irish group to top the UK charts so regularly. 5 Number 1 albums were secured and over 25 million records sold worldwide. Some of the group’s greatest hits are No Matter What, I Love The Way You Love Me, Words, Baby Can I Hold You, Love Me For A Reason, among others. 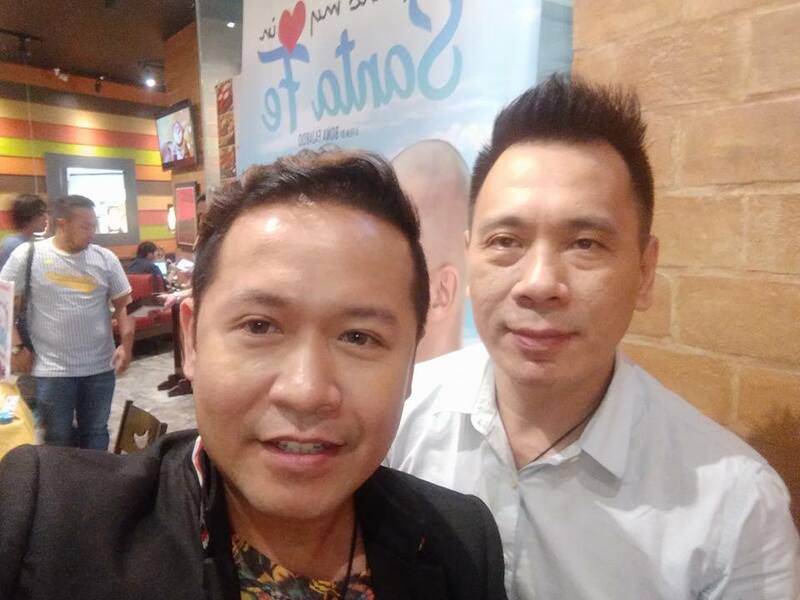 Brian and Keith will sing the greatest hits of Boyzone and Westlife as they perform live in Manila on December 4 at the Kia Theater, presented by Ovation Productions. Ticket prices are P5750, 4750, 3750, 1750 and are available starting October 26 viawww.ticketnet.com.ph and all regular ticketnet outlets. #LaRossa ‘a Piece of Peace in the City’ in #CapitolHills by #Primehomes. Have you ever been in love or broken hearted? 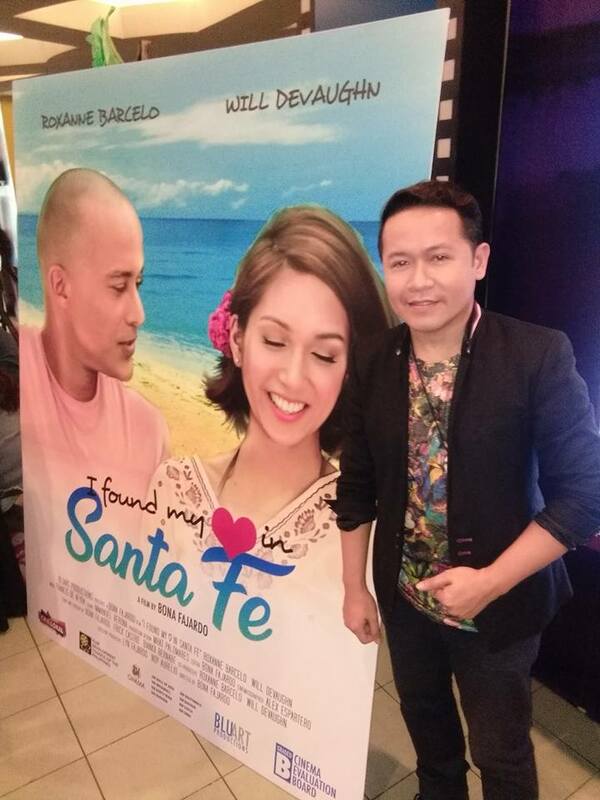 This new film I found my heart in Santa Fe stole my heart. First, the movie setting was like a paradise, a perfect beach made in heaven. The plot where Viktor played by Will Devaughn finding his way to Santa Fe searching for his mother, all of a sudden, he couldn’t find a place to stay and end-up staying at the guard house. The next day, Viktor met Jennifer played by Roxanne Barcelo, who is snotty and uptight daughter of the resort owner. The conflict started the day Viktor met Jennifer. The story evolve with the two characters from longing to meet a love ones and waiting for the right one. A heart warming film with some twist and tear jerker moments. On the lighter note, the supporting roles made this film exciting with superb delivery of their characters with sense of humor. In terms of cinematography, the beautiful aerial views caught my eye and ready to visit this paradise. 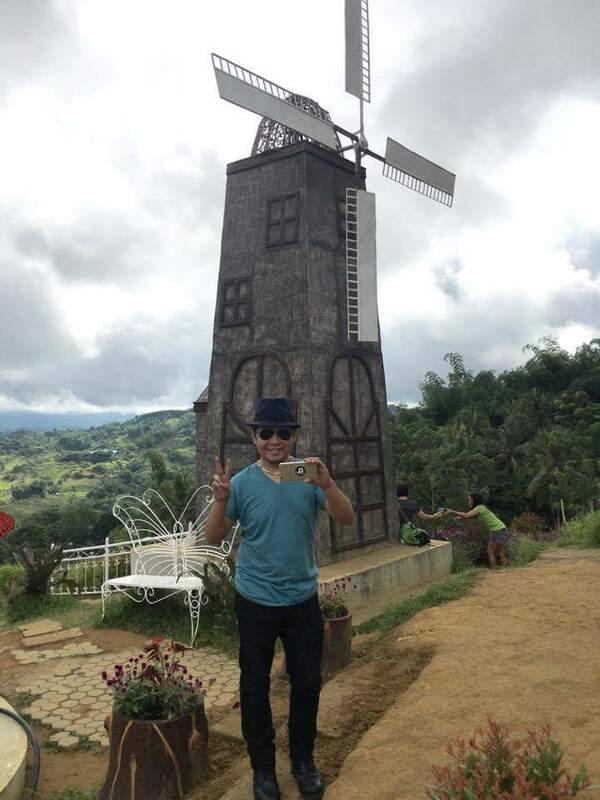 From Mount Busay to 10,000 Roses: Discovering Cebu City. 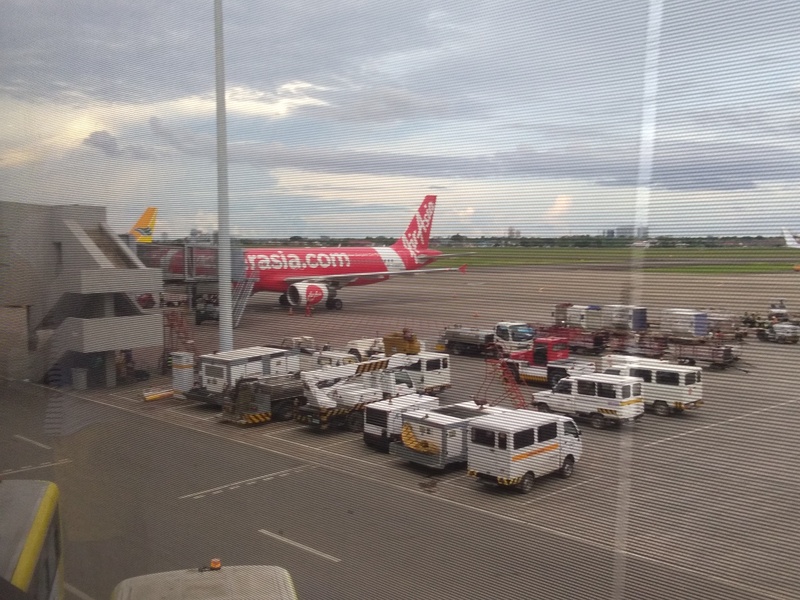 Cebu City or Queen City of the South is known for its beautiful landscape, history and crispy lechon. 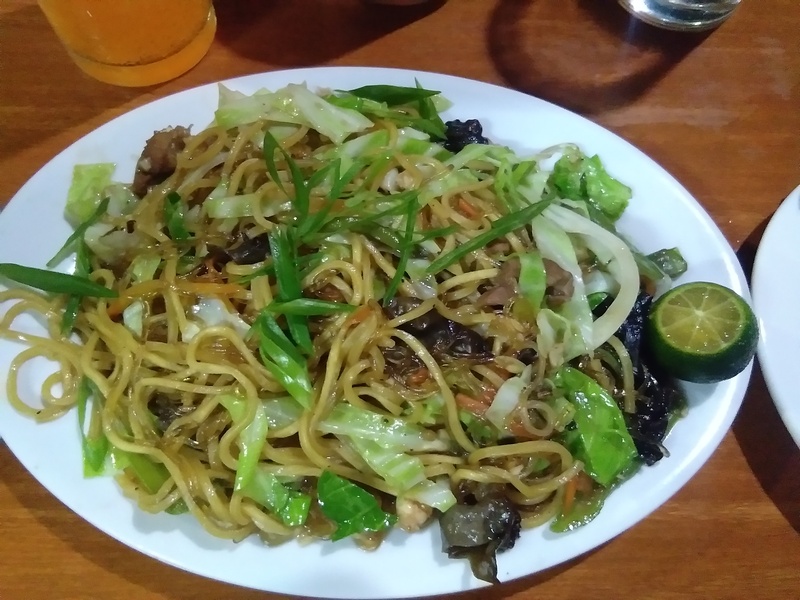 First night, already enjoying the mouth-watering pancit called Bam-i. After that, walked around Fuente Circle and tried tea and dessert at a cafe. 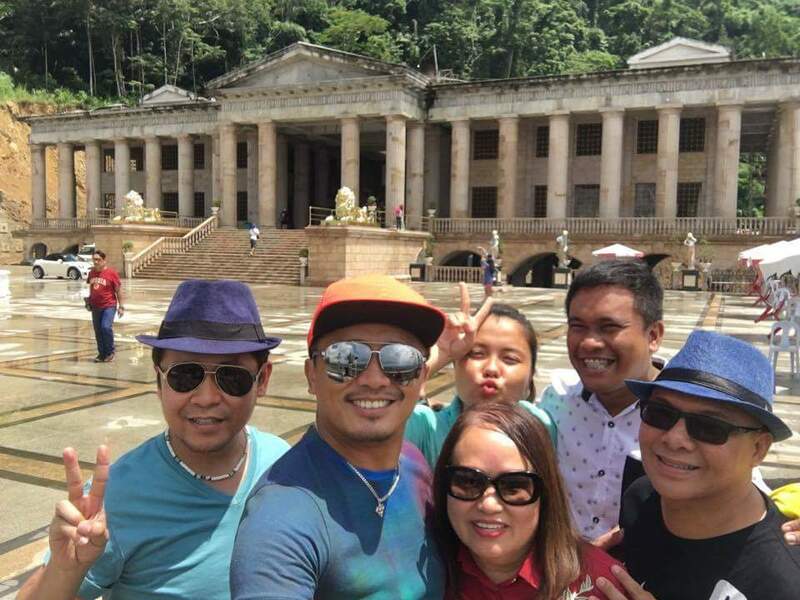 New found friends in Cebu City at The Temple of Leah. (Middle) Rey Tumulak, (MR) Sunshine Kim, (Far Right) Kuya E, (Upper Middle) Rayna, (UR) Mandal. 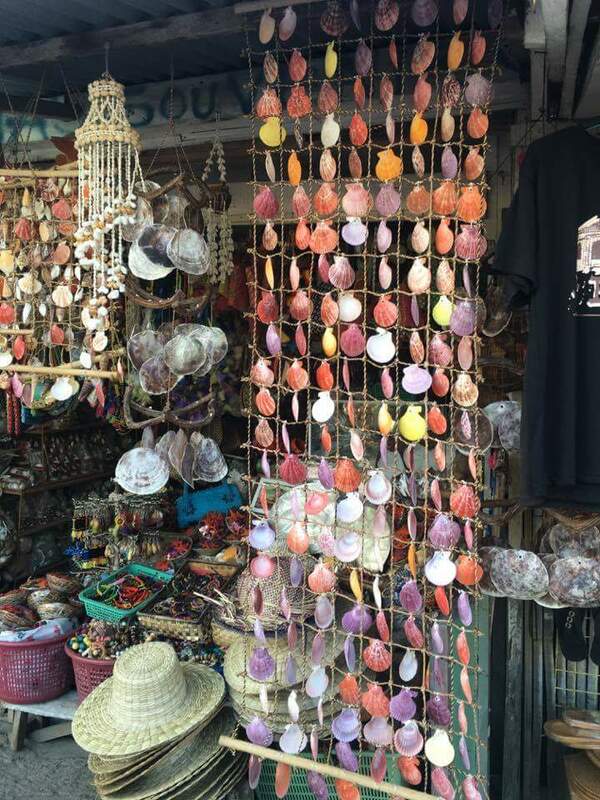 Cebu is bustling and hustling city that has something unique to offer. I had the time of my life exploring the city and some friends showed me around town what to do in one day. From driving around mouth Busay to enjoying the romantic feel at 10,000 roses. Third Day: Ipars Spanish Authentic Restaurant. We really enjoyed the mouth-watering appetizers from chorizo to paella as main course plus dessert like leche flan. Needed to unwind before going back to Manila. Vacation would not be complete without pampering myself at reflexology and spa. Feel rejuvenated after the massage. 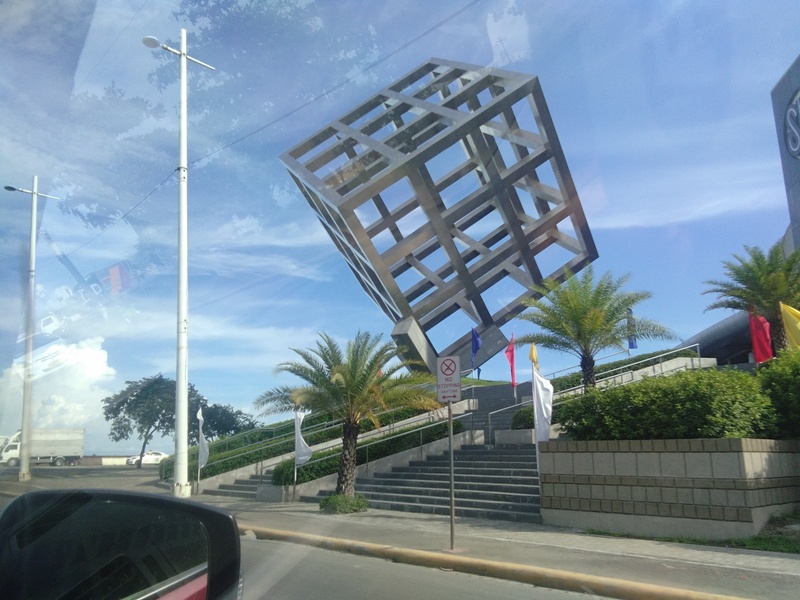 If you happen to visit Cebu City, explore and get lost. It’s better that way anyway so what are you waiting for travel now. Starcruise Travel and Tour. “Travel like a star, cruise in style”.